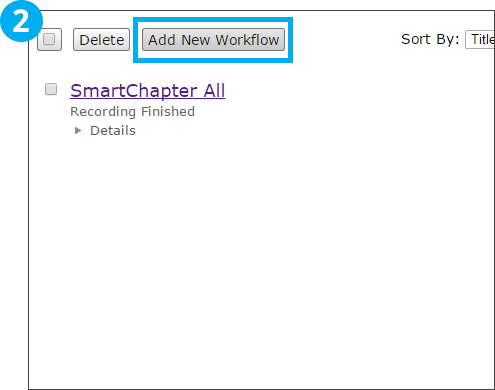 Workflows allow you to set up recurring actions for recordings. 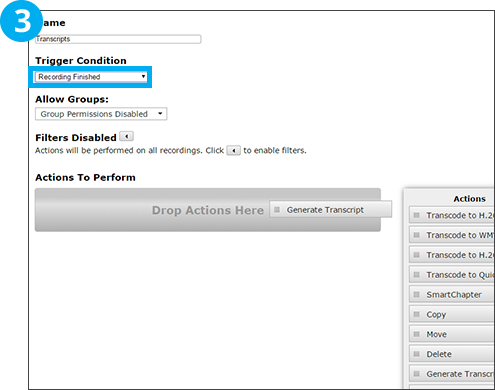 In this how-to, we will set up exporting of recording transcripts for completed recordings. 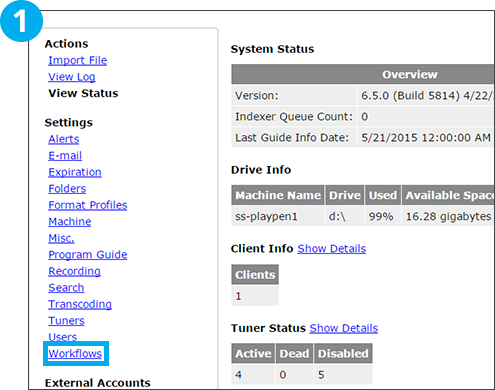 Set your Trigger for this workflow from the Trigger Conditions drop down menu. For this workflow, we will choose the “Recording Finished” trigger. 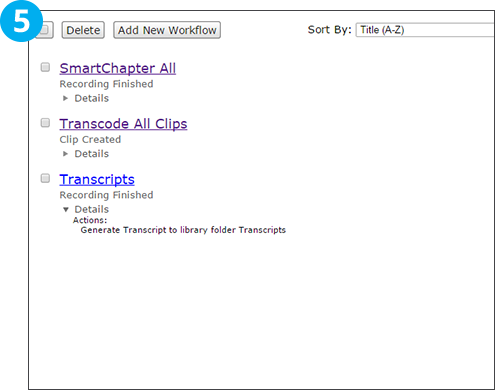 This will trigger a transcript export on all recordings after recording has completed. 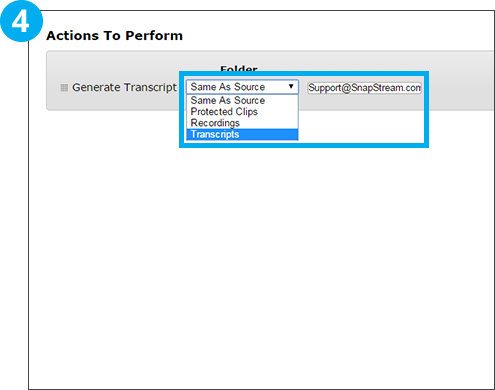 Drag and drop the “Generate Transcript” action to your workflow. 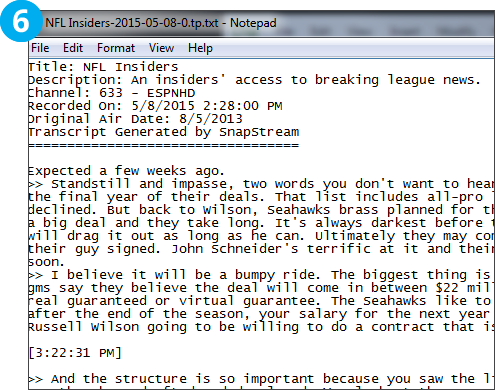 To have a transcript e-mailed in addition to being exported, include an e-mail address in the field provided.